Coordinated Drive-By Attack! Trump White House in Chaos! RUSH: Now, this is a fascinating thing. This is a fascinating case study. 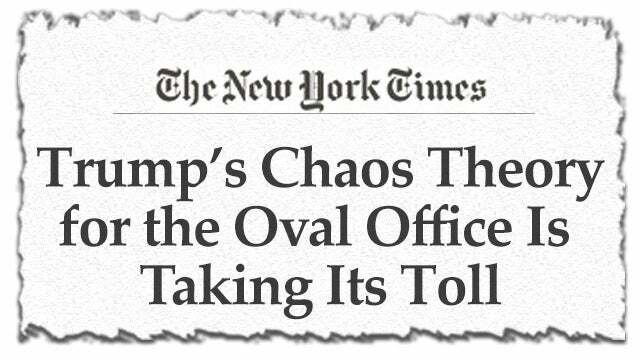 Folks, the Drive-By Media in a coordinated onslaught is portraying the Trump White House in chaos unlike there has ever been any chaos. And, believe me, it’s coordinated. Conspiratorial? Yeah, but it’s just coordinated. And there’s a reason for it, and the probability is it isn’t true. RUSH: Yes siree, Bob. Here we are ready to wrap up yet another exciting, busy broadcast week with your highly trained broadcast specialist, Rush Limbaugh, the EIB Network, and the distinguished Limbaugh Institute for Advanced Conservative Studies and anti-leftist and Anti-Media Studies. Looking forward to chatting with you today. It’s 800-282-2882 if you want to call. And you can try the email route, ElRushbo@eibnet.us. I think this whole day is typified, the chaos story. So I’ve got CNN on. See, I always have CNN and Fox on up there, and I glance at them occasionally in the morning while diligently in a very focused manner prep each day’s busy broadcast. 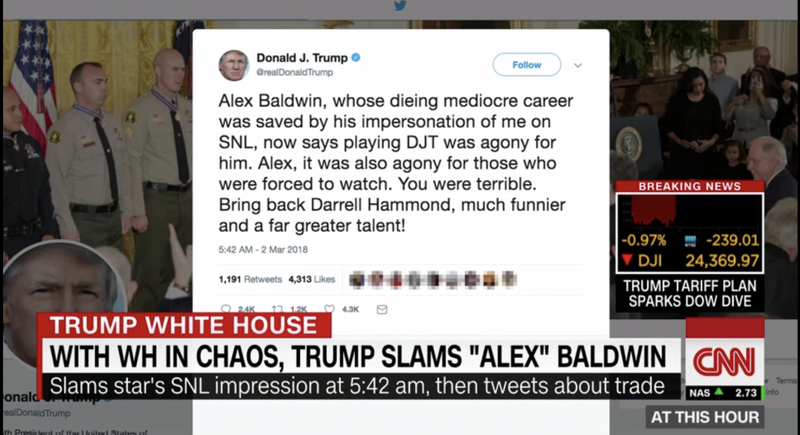 So I look up there, and they’ve got a graphic headline: “With White House in chaos, Trump slams Alec Baldwin.” They still don’t get it. They think it’s outrageous. They create this narrative. They create this situation. The Trump White House is in abject chaos — everybody working there wants out, nobody not there wants in. They can’t find anybody to hire, and the people that work there can’t leave because nobody outside the White House wants to hire ’em because they don’t know anything because they worked for Trump. And so in the midst of all of this Trump comes out and slams Alec Baldwin. Alec Baldwin said he’s getting tired of doing the Trump impersonation. He said it’s agony, Alec Baldwin said it’s agony. And so CNN can’t believe it. What happens is CNN, the New York Times, the Washington Post, all of them — folks, I’m here to tell you, this is a coordinated effort at smearing the Trump White House as coordinated and concentrated as I have seen since Trump was inaugurated. And they are firing both barrels beginning yesterday afternoon. ‘And of course the Never Trumper conservative media contingent believes it. I have never seen more conservatives who believe what the New York Times says without any questions, than a bunch of these Never Trumper conservative bloggers and media types. Whatever the New York Times says is gospel if it’s ripping Trump. Whatever the Washington Post says is gospel if they are ripping Trump. And in the midst of all this, Trump doesn’t play ball. Trump is having fun. Trump’s out there slamming Alec Baldwin, and they can’t believe it. They’re trying to drive Trump crazy. They are trying to get into Trump’s head. Let’s put it that way. They’re trying to affect the daily performance of his job. They are trying to derail, use any adjective you want, they’re trying to distract Trump, because Trump has had a more successful first year in terms of getting his agenda implemented than any president anybody can remember, including the great Ronaldus Magnus. And have you seen the cacophony of panic and outrage over Trump’s announced tariffs? That’s a major part of the news too. And all that is — and it’s two things. As I mentioned yesterday, I think announcing the tariffs — hey, by the way, let me digress for one more minute. In this series of chaos stories, the Trump announcement of the tariffs, he did that on his own. He did that. Nobody in the White House knew he was gonna do it. He did that. He didn’t advise the chief of staff. He didn’t advise the policy people. He did it on his own. He’s out of control. He’s not following protocol. The president’s not doing things like we expect him to do them. He’s not behaving like establishment presidents always have. He’s not acting and talking and thinking like an Ivy League guy, the kind of people we respect. He’s just out there on his own. So Trump announces the tariffs, I think largely to try to recover from the admitted rough patch over saying that he would give Dianne Feinstein whatever she wants on gun control, walking that back today too. Chris Cox, the chief lobbyist for the NRA and therefore a monster to the American left claimed they had a great meeting last night with Trump and Mike Pence at the White House, and nothing’s changed. Exactly as was forecast by me on this program yesterday. Nothing’s changed. And Trump tweets (paraphrasing), “Yeah, great meeting with the NRA last night, great meeting, Second Amendment all the way, rah-rah,” whatever, nothing’s going to change. And they throw that in, too, as part of the recipe for chaos. Well, let’s examine some of what they are saying is the chaos. And I’m telling you you’ll see much of this agreed with in much — not much, but in some areas of conservative media. In the AP. And this took one, two, three writers. The headline: “Trump Adrift: Tumult in West Wing Amid Exits, Investigation — Rattled by two weeks of muddled messages, departures and spitting matches between the president and his own top officials, Donald Trump is facing a shrinking circle of trusted advisers and a staff that’s grim about any prospect of a reset. “Even by the standards of Trump’s often chaotic administration, the announcement of communications director Hope Hicks’ imminent exit spread new levels of anxiety across the West Wing and cracked open disputes that had been building since the White House’s botched handling of domestic violence allegations against a senior aide late last month.” That would be Rob Porter. “Hicks’ departure comes as special counsel Robert Mueller’s investigation appears to be circling the Oval Office.” In truth, Mueller doesn’t have anything. In truth, Mueller has been resorted to throwing it up against the wall and hoping something sticks. The Mueller investigation is a big, fat zero. That’s the truth. That’s the bottom line. The Mueller investigation, the original purpose of which was to find collusion between Trump and Russia, hasn’t produced anything. And so the latest leak from the Mueller investigation itself made yesterday, this morning, they are now going to begin looking at the emails that ended up being sent to WikiLeaks. The Mueller investigation is going to investigate how the Podesta emails ended up being the victim of a phishing attack and did Trump have anything to do with it. They’ve got nothing. And yet here are the Drive-Bys, “as special counsel Robert Mueller’s special investigation appears to be circling the Oval Office with prosecutors questioning Trump associates about both his business dealings before he became president and his actions in office,” none of which has anything to do with collusion with Russia. And in fact along those lines there is a story today from Powerline. You ready for this? “Russia Sees Trump As ‘Lost Cause. '” Here is a pull quote from the Washington Post. And the two sources — you ready for this? — the two sources in the Washington Post story are two guys who were on the National Security Council staff for both George W. Bush and Slick Willie. One’s name is Thomas Graham, and the other’s name is Weiss. An icon printed over his first name here in the way this thing printed out. Wait, wait, wait, wait a minute. How can that be? If Trump colluded with the Russians, if the Russians wanted Trump to win because Trump owed his election to Putin and was therefore going to be a secret Russian weapon in the White House, how can it be that U.S.-Russian relations are worse today than at any point since the Cold War ended? How can that be? How do we even get this headline: “Russia Sees Trump As ‘Lost Cause. '” Folks, if there’s anything out there that ought to be the end of the investigation with an exclamation point, it would be this. Because I’m here to tell you, if Russia had evidence that Trump had colluded with them, if Russia knew, if Russia knows, and if they’re holding that over Trump’s head, if they’re blackmailing Trump, if Putin knows that he and Trump colluded to steal the election from Hillary Clinton, there’s no way Russia would consider Trump’s administration a lost cause. And then you go back to the AP, and you find “Trump Adrift: Tumult in West Wing Amid Exits, Investigation.” And Mueller is supposedly circling the wagons, Mueller is getting closer and closer and closer, and Trump knows it and is becoming more and more deranged and more and more detached. He’s living each day in a renewed sense of paranoia that grows by the hour, knowing full well that it’s only a matter of months, maybe even days before Mueller moves in for the kill! That’s the narrative. Now, this is comical. Here we have the AP, thinks that pretending that they have 16 solid sources in the Trump administration for their fake news gives it credibility. Some of the other chaos. You ready for this? Donald Trump was behind Jared Kushner’s security clearance being lowered. Trump doesn’t like Kushner. Trump doesn’t want Kushner, his son-in-law, doesn’t want him in there. He’s grown wary of Kushner. He thinks Kushner is just trying to enrich himself and his family at Trump’s expense. He wants them out of there. Then we get Anthony Scaramucci, The Mooch, who is making a move to get rid of Kelly, ’cause Mooch doesn’t like the way Kelly aced him out. Then we got a story that H. R. McMaster, for about the 23rd time, is it on the verge of either being fired or leaving the National Security Council. And that’s the 13th story in about the past 10 days that the chief of staff, John Kelly, had had it, and he’s on the verge of leaving unless Trump fires him first. I’m not kidding. And that doesn’t even cover all of it that’s in the Drive-By Media today about the chaos in the White House. There’s much more. 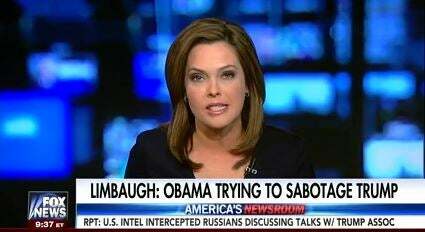 RUSH: White House in chaos. The nation is at great risk. Do you know how bad it is? The Drive-By Media says that something like, what is it, 21 people have left the Trump administration already — and the problem is that they can’t find anybody to replace ’em. You know why? Because nobody wants to work in the White House. There’s nobody left in Washington, nobody left in the United States that wants to go to work in the Trump administration because it’s so bad, because it’s so embarrassing. And you know what else? The 21 who’ve left can’t find jobs anywhere. You know why? Well, because they worked for the Trump administration, and that means they’re incompetent, and that means they’re sullied, and that means they have bad reps and bad reputations. So nobody wants to hire them because they’re coming from an inept, incompetent, chaotic administration where it is thought they don’t know what they’re doing — and therefore, they are of no value to any other employer. Of course, the general rule of thumb is you go to work for an administration, you put in your two to three to four years, and then you write your ticket in the private sector. But, see, all of that’s gone. If you worked for the Trump administration, nobody in America wants to hire you because the Trump administration is so inept and so feeble and so dangerous and so bad that anybody who worked for it must also be feeble, dangerous, feckless, incompetent, and bad. But, no. That’s not the angle they’re taking. RUSH: Right here it is, my friends, in the Washington Examiner. The news is actually from the New York Times, but I decided to use the Washington Examiner because the New York Times story on this is 1,300 words! 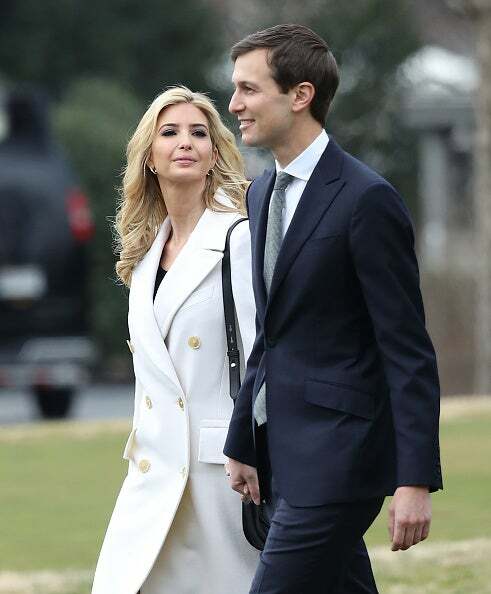 The Washington Examiner is just a couple paragraphs, headline: “Trump Quietly Asked John Kelly For Help to Oust Ivanka Trump and Jared Kushner: Report — President Trump is quietly angling to have his daughter, Ivanka Trump, and her husband, Jared Kushner, removed from their roles at the White House,” according to the New York Times. But just the way this is worded. Who runs the White House? I mean, and don’t give me this chief of staff business. This is Donald Trump’s West Wing. It’s Donald Trump’s administration. And somebody as important as his daughter and son-in-law, he’s going to have much personal involvement. So note the way this is worded. “Although Trump has advised his daughter and son-in-law to keep their administration positions.” Do these people not realize that the only reason they have their positions is that Trump appointed them? And, by the same token, Trump could get rid of them. And Dad says, “Okay. Cool. Great. Well, go set up your office.” And then word leaks that Ivanka wants to leave and Trump says, “No, no. I would advise you to stay.” What do you mean, advise you to stay? But that’s a nitpick. The two salients here are that on one hand Trump is telling Ivanka and Jared, “Hey, yeah, we love you here. Hang on,” while he goes behind their back to his chief of staff and says, “Knife ’em. Get ’em outta here. I don’t want my daughter here anymore and I don’t want that punk husband of hers. Get ’em outta here.” What are we supposed to believe? Now, bear in mind that this news from the New York Times completely undercuts the narrative that the media has been pushing for years now, and that is that Trump is completely under the thumb of his daughter. How many times have you seen that? That Trump is in a spell, that his daughter has her way with him, and whatever Ivanka wants, Trump is powerless to resist. And I’m sure you’ve seen some even sicker extensions of that story. So now all of a sudden, after this narrative of Trump is powerless with his daughter around, that he is rendered practically immobile, now we’re told that Trump is sneaking into his chief of staff’s office and asking the chief of staff to whack ’em, his own daughter and own son-in-law. There’s a, quote, unquote, revelation in the 1300-word New York Times story in the 30th paragraph. I counted ’em, 30 paragraphs. This is the second-to-last paragraph. No. Obama was in total control, total charge of everybody that worked for him, except during Benghazi, then he didn’t know what was going on. And then Hillary and whoever else were off on their own while Obama was out playing basketball, or watching basketball. “Yet aides also noted that Mr. Trump has told the couple that they should keep serving in their roles, even as he has privately asked Mr. Kelly for his help in moving them out.” Man, and we are supposed to believe this. This is the chaos. If this kind of chaos were going on in there, I guarantee you there wouldn’t be anything getting done, and there are record numbers of things getting done. But we’re not finished. Because now we head over to NBC News, where the headline is: “White House Preparing for McMaster Exit as Early as Next Month.” This must be the tenth time that H. R. McMaster, the Mr. Clean-looking national security adviser, is on the outs, that Trump doesn’t like the way he speaks. This stuff is reported. And then the next day we’ll get a story on how McMaster thinks Trump is a dolt and is secretly maneuvering things in the West Wing so that he can gain more and more control over Trump, without Trump knowing what’s going on. And now the latest is that James Mattis, the defense secretary and John Kelly, the chief of staff, have decided McMaster has to go as well, so now they are working a plan to get rid of McMaster. Now, just a month ago McMaster and Kelly and Mattis were a happy triumvirate of Washington professionals. They were insider experts from the Pentagon, the National Security Agency, and the Marine Corps and Homeland Security, and they had 10 times the smarts of Trump and they were teaming up and coming up with ways and plans to nullify Trump, to make sure Trump couldn’t prevail on anything. In other words, secretly running the west wing. But now all of a sudden McMaster has fallen out of the Three Musketeers, and Mattis and Kelly, after they get rid of Ivanka and Jared, are next gonna make a move on getting rid of McMaster. And this is gonna upset a lot of military commentators on Fox who love McMaster ’cause they love a warmonger. It’s asinine the things that are being reported here! NBC’s claiming not only McMaster’s out the door, they are announcing his successor. Oh, and they’re announcing Hope Hicks’ successor. You know who Hope Hicks’ successor is? That’s right, Mercy Schlapp, the wife of Matt Schlapp who himself in the media is also beleaguered because he runs CPAC and of course it was a disaster this year, according to the media. I mean, anybody and everybody that has anything to do with Trump may as well just commit suicide, folks, it’s that dire, it’s that desperate, there’s no reason to go on. But we’re still not through because next we move to USA Today. Are you ready for this? We have a fake push poll from USA Today. Unhappy with the country’s direction? This is the only poll out there that has this result. Every other poll out there, consumer confidence is a record high. People’s attitudes about their future, record high. Leave it to USA Today to come along and claim they’ve got a poll showing voters are mad. They’ve had it with Trump, and they vow to elect a Congress that’ll stand up to Trump. Now, that’s very hard to do, because voters can only vote for one member of Congress. So how does this even work? Let’s say you have an angry voter, Enis Slobodnik. And Enis Slobodnik lives in Manhattan, and he is fit to be tied every day. He goes to the bodega, he picks up a bagel and a cup of coffee, and he gets so mad, he throws the coffee at a passing taxi with just one look at a headline involving Trump in the newspaper. So he vows in a poll to USA Today that he is going to elect a Congress that stands up to Trump. What is Enis Slobodnik gonna do? Is he gonna try to find everybody else in the USA Today poll? How does this work? How do voters vow to elect a Congress to stand up to Trump? Well, they don’t because House of Representatives elections don’t work that way. And one other little bid of news, my friends. There have been a lot of elections since Trump was inaugurated, and we’ve shared with you some of these elections that Democrats have flipped, but there’s one thing that you should know: Not a single special election for a seat in the House of Representatives has been won yet by the Democrats. Not a single one. They may be winning dogcatcher elections and they may be winning town council and low-turnout elections or state legislative elections, but they have yet to win any election for a seat in the House of Representatives since Trump was inaugurated, zilch, zero, nada. And yet USA Today has found people that are so mad, they vow to elect a Congress to stand up to Trump. So what we have here is a push poll in USA Today with a story urging people to think this way. They put out a poll that says we got a majority of people think this way. That’s supposed to persuade other people to join the movement. And that doesn’t even fully describe all of the Drive-By news on the chaos in the Trump West Wing administration White House today. But that’s enough to set the stage and give you an idea. 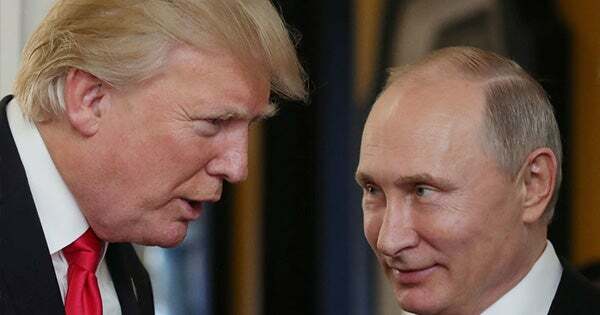 Powerline: Russia Sees Trump as "Lost Cause"